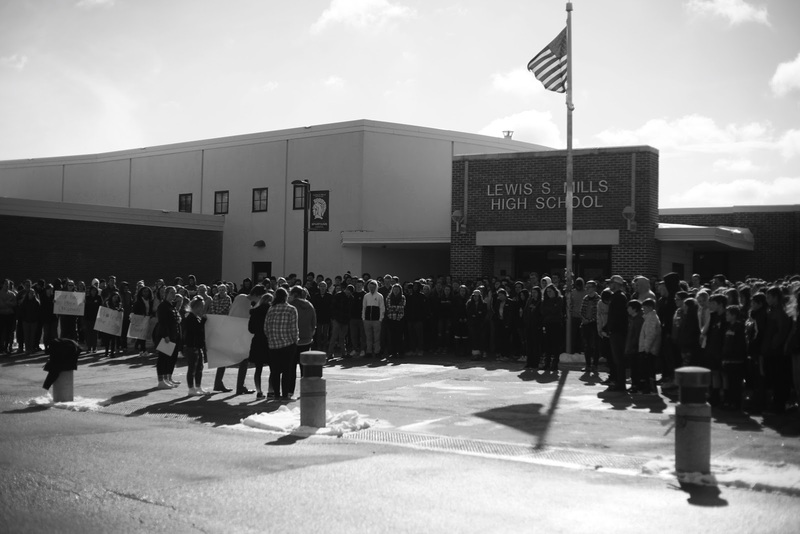 Students gather out side Lewis S. Mills High school in Burlington Connecticut, in an attempt to end gun violence. *Note from author: This article is based on acquired facts and doesn't represent the author or Lewis S. Mills High school's political views. 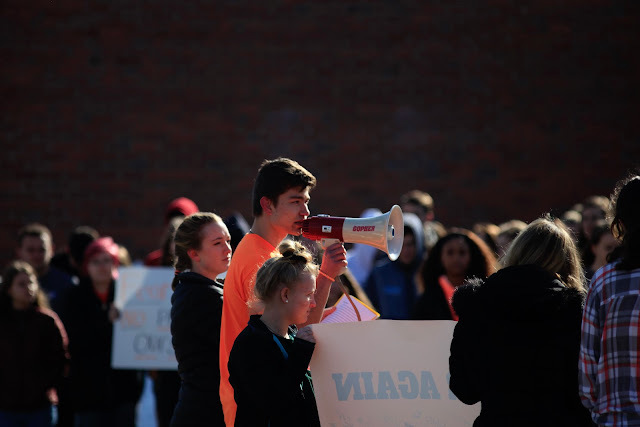 Last Wednesday, students from over 2,000 schools from across America left class to protest gun violence. Students take turns telling their opinions throughout the event. Officers keep a watchful eye during the event. 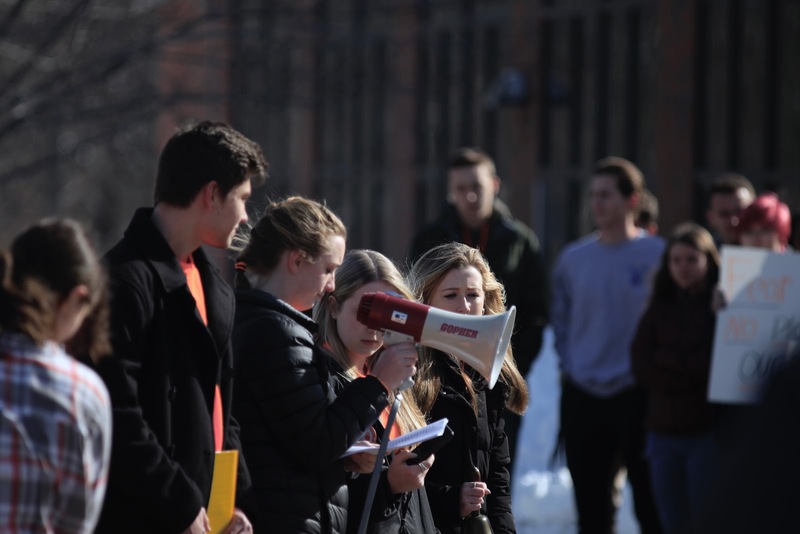 Students hold handmade signs to protest gun violence. Wide angle view of event. Once again, this article is purely intended for educational purposes and does not represent the political views of Author Preston Hazard or the staff at Lewis S. Mills.